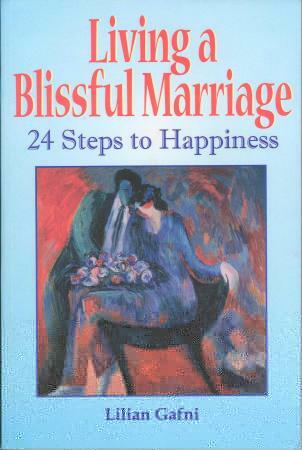 Living a Blissful Marriage: 24 Steps to Happiness - Lilian Gafni - 24 practical, easy-to-follow steps to overcome marital problems and recapture love in marriage. This book offers positive ways for couples to take control of their married life through exercises in empathy, introspection and intimate communication, messages, and teaching how to fullfill each partner's needs and goals in both love and life. Larry's Review: - Coming soon. 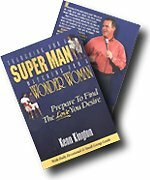 Searching for a Super Man, Watching for a Wonder Woman: Prepare to Find the Love You Desire - Kenn Kington - Where ahave all the good women gone? why are all the really great guys taken? Maybe there is another issue to resolve. There is a pervading attitude that any hope we have of finding that special someone is hiding somewhere and completely out of control. The truth is that we are failing to deal with the biggest barriers to finding relational success. Re-create Your Life: Transforming Yourself and Your World With the Decision Maker Process - Morty Lefkoe - Rather than offer advice on how to cope with problems - at work, at home, in organizations, and in society - this book describes a proven method that enables readers to eliminate problems totally by quickly and permanently erasing the beliefs that are at their source.